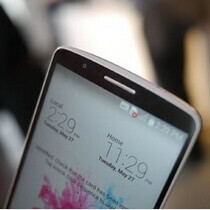 LG G3 launching at Verizon on July 17? While all major US mobile operators confirmed that they’d be offering LG’s new G3 smartphone, no exact release dates were given. Still, it looks like we now know when Verizon is planning to start selling the handset. @evleaks received an image which indicates that Verizon intends to take pre-orders for the G3 on July 10, with sales scheduled to begin a week later, on July 17. There are no pricing details, though we expect the new handset to cost $199 on contract, and around $600 unlocked. The G3 is the first Quad HD (1,440 x 2,560) smartphone made by a major company. It’s already available in South Korea, and it seems that sales are going very well thus far there. Despite the fact that its display is a 5.5-inch one, the LG G3 remains compact, and it’s not too large when compared to handsets with smaller screens (like the Samsung Galaxy S5). That aside, the smartphone features Android 4.4 KitKat with new software from LG (including Smart Notice and Smart Keyboard), a 13MP rear camera with laser autofocus, quad-core Snapdragon 801 processor, 3GB of RAM, 32GB of internal memory, and a 3,000 mAh battery. Just like Verizon, AT&T, Sprint and T-Mobile may want to launch the G3 in July as well. But we’ll see if that’s true. Meanwhile, our LG G3 review is waiting for you to check it out! Just too dang large. Nice specs just wish it was in the 4.7" range. Go adding a case to phones this big and it's just too much. Man up! I've been rocking a phone over 5.5" (Note 2 and Note 3) for almost two years. And I'm rocking heavy-duty cases on top of that. It don't have a thing with manning up, it's about practicality for me. Maybe you have size envy who knows. But for me it's about what I feel fits me in everyday life. Hell I already snag my razr maxx HD on thing as it is I can't imagine how many times I'll rip off a larger phone. Thank goodness; the 3gig of ram and 32gig of storage version. Now I'm interested. Same here to. Looks like will have to sell one of my phones and buy this . Why is crappy over priced Verizon getting everything first all of a sudden? How is it 'crappy' the service f**king rocks! You get what you pay for. I get LTE inside the bat cave. I thought this is a Sony only crisis. lol! july 17? haha. iand the rest of the world aside from korea, when?? stupid move by LG. i am planning to make g3 my 1st android phone, but im so tired of waiting. why don't they follow apple? i wish it was sooner also. but i may still get it and then play with it while i wait for the note 4. I think this is a bad move for LG actually. I don't think waiting this long will not help them sell the G3. It's going to be hard keeping up hype as that would put it 3 months after being announced. LG bad move. lg g3 was introduced on may 27. how is that 3 months behind? if you go by verizons july 17 release then that's not even 2 months behind. My apologies. .. two months. . Still too effing long dude. No matter how you try and spin it it's too long. It must be that the US is not a very important market any longer. Sony doesn't care about the US, now LG makes the US a low priority. It's really not all a bad thing. Hopefully the US will get some of the cheaper phones that now only show up in India. I'd like to get a good dual SIM phone, but there really isn't good support for this in the US yet. LG's business model is messed up! Release a handset and make everyone wait almost 2 months? If the S5P, Note 4 or Sony release release what they have in store in the next month, LG and that stupid move will lose 100,000's of sales! Stupid!